Many players put a ton of thought into their basketball shoes and don’t always research the best basketball socks to slide into those shoes. Whether for men, women or kids, you’ll quickly find out this is a mistake. Buying basketball socks is more complicated than it may sound, and there are various factors which need to be considered before settling on a pair. The following reviews will simplify this process, offering in-depth information about the best basketball socks, and what factors to consider to determine the right fit for you this season. What’s the Difference Between Socks for Men, Women and Kids? Nike Dri-FIT Elite Crew Basketball Socks Review: These polyester-blend socks are created by Nike, which is almost always an indication that they are pretty high quality. The Dri-Fit Elite Crew provide everything you need in a basketball sock. They are created from a fabric which ensures your feet remain dry, even in the most demanding ball games when sweat is dripping from your every pore. They fit tightly enough to remain in place without feeling at all restrictive, and provide great support in all parts of your foot which deal with a lot of impact. On top of that, they are available for a very low price, particularly when considering their quality and the fact that they are a Nike product. Overall, this sock is as good as it gets and easily one of the best basketball socks for men. It’s a purchase you will not regret. Under Armour Mens Drive Basketball Crew Sock Single Pair Review: The fastest growing name in sports apparel, UnderArmour have made serious inroads in the industry in recent years, and underpinning their success is their range of basketball apparel. These comfortable socks offer support only where you need it, meaning they retain their lightness and flexibility, while ensuring your foot is adequately cushioned. The sock also utilizes advanced technology in numerous ways. They contain HeatGear fabric, which works to keep sweat off your skin, enabling you to retain the fleet-footedness you require to dance your way to the hoop. ArmourBlock Technology is incorporated to prevent the growth of bacteria, meaning these will retain their high quality for a long time – and won’t smell too bad after a tight game! The socks are custom made for each foot to suit the reversed support needs of each, and look pretty good too. All in all a great basketball sock for men. Basketball Sock by ChalkTalk SPORTS Review: Not a renowned brand, but a great sock nonetheless. These socks are a blend of 80% acrylic, 15% nylon, and 5% spandex, which creates for a breathable sock which maximizes comfort. The moisture wicking technology in these socks is excellent – the materials used mean they dry much faster than cotton, which many socks are made of. This means your feet remain dry, you remain comfortable, and your game remains at its best. They also have a pretty different look, with the image of a player mid-shot embossed into the back. Those who prefer more standard looking socks may not like this, but it is certainly a nice logo. Plus, they come in an array of different colors – black and white, grey and orange, even blue and yellow if you want to join the Golden State Warriors bandwagon. A comfortable, durable and stylish sock, and certainly a worthwhile purchase. Nike Mens Elite Versatility Basketball Crew Socks Review: Another great sock from Nike. The Men’s Elite Versatility Basketball Crew socks utilize the Dri-FIT Technology present in other Nike socks, which has proven to be highly effective at keeping moisture off the skin of ballers. An excellent addition to this sock is the 360 degree ankle support system. This system acts almost like ankle taping to keep your ankles in place while you break those of your defender with a crossover. Ribbed traction helps to keep your sock firmly gripped to your shoe, ensuring your foot won’t wriggle around too much inside. On top of all this, there is plenty of ventilation around the foot and ankle to keep the region cool and dry. They have a slightly different style to other Nike socks, with the top section of the sock surrounded by a black ring on which the signature Nike logo is embossed. MadSportsStuff Basketball Logo Athletic Crew Socks Review: This mid calf length sock is a unique but effective piece of basketball apparel. Made predominantly out of polypropylene, this sock is full of high quality performance features. It has moisture wicking, to keep your foot dry. It has arch and ankle compression features, which help to stave away the feeling of fatigue in your foot which comes with the stop-start movements of basketball. They have features to reduce the development of blisters, and are particularly lightweight. They come in a range of different colors with a unique looking logo, ensuring you’ll definitely stand out from the crowd. They do come in at a slightly higher cost than some lesser quality products, but their durability ensures they will be well and truly worth it. Adidas Womens Cushioned Crew Sock Review: One of the best socks out there for women, the Adidas Women’s Cushioned Crew Sock is manufactured predominantly out of polyester. As the name suggests, it is beautifully cushioned around the entire foot, ensuring you feel comfortable while pulling out your best moves. The cushioning also aids the sock in its durability. An important feature of any basketball sock is moisture wicking, which keeps the sweat off your feet, and this sock performs this duty to perfection. It has a simple but stylish appearance, coming in predominantly white with the Adidas logo on the side available in three different colors, and it is available in a variety of different lengths. Unfortunately, the sock has a drawback, as many reviews complain of the tightness of the cuff. This is obviously less likely to be an issue for those with thinner legs, and depends on the length of the sock you choose as well, but it certainly has the capacity to annoy some players. If this problem doesn’t bother you though, then this sock is a great choice for women, and fits shoe sizes ranging from 5 through to 10. 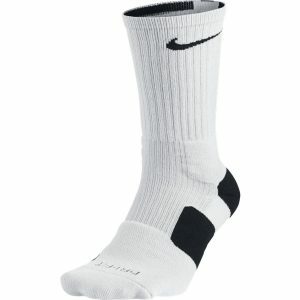 Nike Unisex Elite Basketball Crew Review: This unisex sock fits into the top 5 basketball socks for both men and women. It is comfortable, durable, and provides great support for your foot. These necessities don’t change across gender, and given this sock is available in sizes for men and women, it needs to be on the list for both. A great feature of this product which hasn’t yet been mentioned is the look. It comes in an incredible array of different colors, meaning regardless of your team colors or your preference, there will be something for you. A fantastic choice which will not disappoint. Nike Womens Hyper Elite KD Basketball Socks Review: These socks are available for men as well, but Nike have a range which is more suitable to the size of a female foot. This is a very comfortable sock, with 3 levels of cushioning its best feature. Not only does this make it feel great, but it provides great support for your feet, ensuring that you are less likely to feel the foot fatigue which is so common after an arduous two halves of competitive ball. It also has the Nike Dri-Fit fabric, which keeps the sweat off your feet. Each pair has a sock specifically for your left and right feet. This is not a hugely common feature, but it is one which really improve comfort and performance. As with most Nike products it is particularly stylish, ensuring you’ll look good while you’re playing good. Hxst Dri-fit Cushion Basketball Crew Socks Review: This is certainly not a sock with the reputation of those made by a brand like Nike or UnderArmour, but they perform just as well. They have a reinforced heel and toe, which helps both comfort and support. They have a specific left sock and right sock, which as mentioned can really help comfort and performance. They are made out of a cotton blend which creates a very light sock, enabling you to move across the floor better. Importantly, they also come in a wide range of sizes, ensuring they are suitable for women as well as men. All in all, this sock covers all the bases covered by big name brand socks, with one great benefit – cost. While no socks are going to break your bank, these socks are particularly cheap without compromising on quality. A great value purchase. Nike Crew Cut Performance Cotton Socks Review: Yet another Nike product. These socks aren’t specifically designed for basketball, but can certainly play the role as an effective basketball sock. They are made of predominantly cotton, and excel in the way they fit your foot. A very comfortable sock, it has extra support in the heel and toe, and keeps your feet dry while you play. The foot has extra cushioning for shock absorption, meaning you won’t make a sound as you land after securing a board out of the hands of three bigger opponents. Generally, they are very durable, though they have at times been criticized for coming unthreaded in parts. Hopefully this doesn’t happen to you, as aside from this issue they are a very solid sock. BABIBEAN Athletic Kids Mid Calf Crew Socks Review: Perhaps not a brand you’re accustomed to hearing the name of, but it turns out BABIBEAN can make a very good sock for kids. This polyester sock has moisture wicking technology, as all the best socks do, as well as an air-circulating ventilation blend. This ensures your child will feel more comfortable running around the floor, developing the skills of the game. As any young person, or parent of a young person, would know, it is imperative to look good while you are playing sport. These socks certainly achieve that. They somewhat mimic the Nike Elite Crew series, but an important addition is the ability to choose any number from 00 to 99 marked on the back. This means you can be representing your number at the top and bottom of your outfit. A nice touch to a great all-round sock. Definitely one of the best youth basketball socks around! 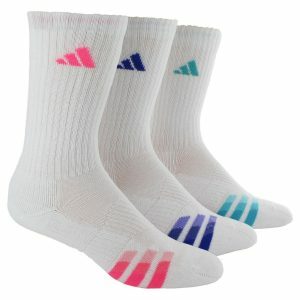 Adidas Youth Graphic Crew Sock Review: This predominantly polyester sock keeps it pretty simple. Short in length, it has a simple design, coming in a number of simple colors and featuring the recognizable Adidas logo on the sides. It has a ribbed cuff, meaning it stays tightly in place without slipping down, and ClimaLite technology. This technology means the feet of your child stay both cool and dry, important in enabling them to maximize their skills. The comfortable nature of these socks is particularly important, as youth ballers can be a little more picky about how their socks feel. All these factors create a very solid sock, and of course this quality is reflected in the cost. They are also very durable though, meaning the extra little bit of cash you dish out for these socks will be well and truly worth it. Under Armour Youth Crew Socks Review: These socks utilize a combination material made primarily out of cotton and nylon to create a very comfortable sock for your child. 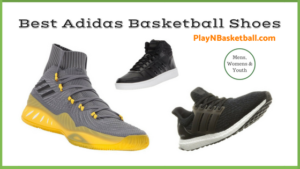 The Signature Moisture Transport very effectively keeps moisture from the feet of your young baller, allowing them to feel comfortable as they play their favorite sport. Comfort is particularly important for young players, and can have a significant impact on how much they enjoy the game. UnderArmour have also incorporated a feature called Armour Block, which aids in preventing the growth of bacteria which can cause odors – as we know, this is particularly important for youths who tend to leave them sitting on the floor after a tough, sweaty game. There has been confusion about the sizing of these socks, so ensure that they are the appropriate size for the player who will wear them before purchase. Other than that, they are a great sock for youths. 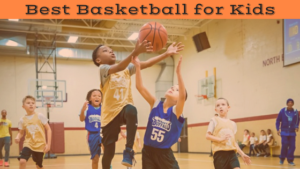 Hxst Dri-fit Cushion Youth Basketball Crew Socks Review: The Hxst dri-fit cushion youth basketball crew socks, one of our top 5 socks for women, also has proven to be one of the best socks on the market for children. Technologically, this sock is perhaps a little more advanced than the other top youth socks for basketball. 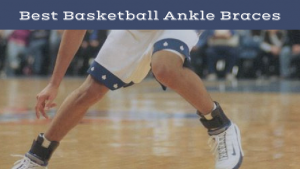 The reinforced heel and toe, and cushioning technology for impact protection, are perhaps not things that many youth basketball players would demand in a sock, although they do help. The main reason why these socks are so appropriate for kids is comfort. They fit a wide range of different sized feet, are very lightweight, and keep your feet particularly dry. They also look great, meaning children will feel very confident running around the floor in these impressive socks. Nike Dri-Fit Elite Crew Youth Basketball Socks Review: Perhaps you’re noticing a recurring theme here, but quite simply these socks are as good as it gets for men, women, and children alike. Of course, being a Nike product, these socks have all the advanced features you would expect. They fit well, they wick sweat away, they have lots of cushioning. Importantly for children, though, they are comfortable and they look good. These socks fit all kinds of different sized feet, meaning kids at all stages of development will be able to find a pair that fits them. As well as this, they come in seemingly endless colors, all of which combine a background color with a contrasting Nike swoosh. These will enable your child to show off the best socks on the market to their friends, and look good while doing it. A real confidence booster, and a great way to help foster their love of the great game. 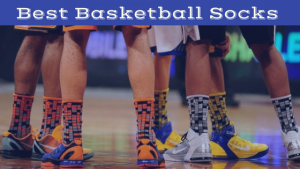 Buying basketball socks may seem like a simple task, but there are many factors which need to be considered prior to your purchase. Different socks are made of various different materials, and it is important to understand the benefits and drawbacks of each before you make a decision. 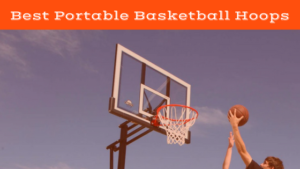 Likewise, the level of cushioning and support is hugely important, particularly in a game like basketball, which can take a huge toll on your feet and ankles alike. Finally, choosing the right size socks is vital. This may seem obvious, but it is alarming how many people purchase socks which are noticeably too tight, or which slip down during games. Material: today’s basketball socks are generally made of composite materials, of which a major percentage is usually cotton or polyester. 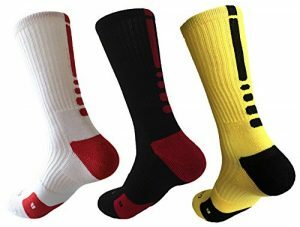 Everyday socks are often made purely out of cotton, however if you play a game in these you will realize the need for specialized basketball socks, as cotton socks absorb sweat and can become very heavy and wet. Most of the material blends used in good basketball socks are deliberately designed to avoid this issue, with moisture-wicking technology a recurring theme in our list of the best basketball socks for women, men and kids. This enables you to get up and down the floor without worrying about any soggy socks weighing you down. It is imperative to ensure your socks are made of a material which effectively does this – usually this information will be presented in the section detailing features of the socks. 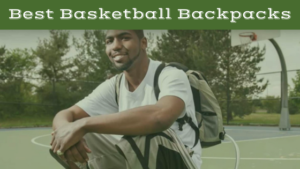 Cushioning and Support: anyone who has played basketball, be it social or competitive, will understand the huge toll it takes on your feet and ankles. It requires endless sudden movements and changes of direction, which heightens the importance of a sock which provides good support for your feet. Usually, the best socks will have extra support where it is required – at the heels and toes. Extra cushioning around the foot is not present in every sock, but can be hugely beneficial. Landing heavily after a big dunk or a contested rebound can be hard on your feet, and while having a couple pairs of the best basketball shoes might be the most important factor in absorbing this impact, your socks play a huge role as well. For these reasons, it is vital that you perform due diligence prior to your purchase, or you run the risk of worrying more about the pain in your feet than hitting your next shot. Sizing: this may seem like an obvious consideration, and it is, but it is hugely important. Basketball socks come in many different shapes and sizes, and it is imperative that the pair you choose fits your feet well. This is particularly important for children, who have growing feet and may have to look harder for a pair which properly fits them. A pair of socks which is too small can be noticeably restrictive during a game, and distract you from playing your best. In contrast, socks which are too big may slip down repeatedly as a result of all the movement which basketball demands. A great way to know if your socks are the right fit is to consider whether you think about them while you are playing. If you don’t notice you are wearing them, then it is likely they are fitting well and doing their job. Though it may sound strange, the requirements for socks vary slightly for men, women, and children. While all need to consider broadly the same factors, there are certain elements which need to be considered more deeply for different groups. For example, kids may not be as focused on the technological specifics of a sock, and simply require a sock which fits comfortably and looks cool. Men: though it varies depending on the level of basketball being played, generally men will require socks with all the best features available on the market. This means socks with padding, support, moisture wicking, and ventilation, to name a few important features. Often, men looking for basketball socks will be playing in a competitive league, meaning all these factors come into play. Features such as extra padding and support become more important as players become more competitive. This is because more competitive games demand faster movements, more jumping, and heavy landings as you crash down after a big dunk. This means that socks can play an important role in ensuring the comfort of men during a high-intensity game, and the incorporation of all these features is increasingly important. Women: like men, women are often playing in competitive leagues which require high quality socks. They need to consider many of the same features as men do, in order to best enable them to perform. A major difference between female and male considerations is in sizing. Generally, men will not have trouble finding an appropriately sized sock, as brands tend to produce all lines of basketball socks in men’s sizes. Unfortunately, this is not always the case for women. Though it is not likely to cause major problems, some labels release types of socks in sizes only appropriate for bigger feet. This means it is important for women to hunt for socks which not only have all the bells and whistles of the highest quality socks, but also for those which are going to fit appropriately. Youth: buying basketball socks for youths is a different story to making a purchase for men and women. 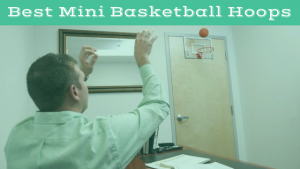 Generally, children playing basketball will be doing so in a more social environment, rather than the high level competitiveness present in adult basketball. This means certain features, such as extra padding, are likely to be less relevant. 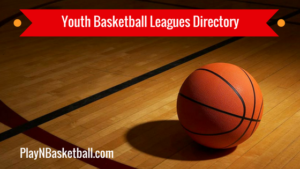 Though certain youth leagues can be very high quality, they generally are less demanding on the feet, meaning these kinds of features are somewhat unnecessary. The factor which is most important for kids is comfort. They need to feel comfortable in the socks they wear on game day, and able to better their game without worrying about sweaty, uncomfortable socks. Size is also an issue for children, particularly as their feet tend to change size at a rapid rate. This may mean buying new socks regularly is required to ensure they always have appropriately sized socks. As many of you may know, children can be particularly fickle, and experiencing discomfort during a game has the potential to turn them off the sport. In order to avoid this problem, and help to develop their love of the great game, it is vital that they have socks in which they feel comfortable. Finally, make sure the socks look good. This is a hugely important feature for many children, who always want to look better than the next guy. For many, buying basketball socks may be a little more complicated than anticipated. There are a number of factors to consider, the importance of which depends on how competitive a player you are, as well as your age group. For adult basketballers, there are many features which can give a sock an advantage over its competitors. These include moisture wicking, padding, and support. For children, it is more important to focus on comfort, size, and appearance. Following these steps will go a long way to ensuring you have the best socks available to you, and can maximize your enjoyment of the game.